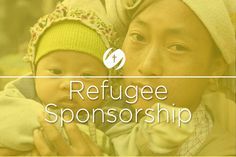 New Hope – NWCRC is a ministry of our congregation that welcomes and sponsors refugees. As a community that centers its life and ministry in the person of Jesus Christ and His announcement of Good News (Gospel), one of the ways we express the Gospel is by extending care to the stranger and the vulnerable. Since 1979 our church has welcomed and sponsored many from Vietnam, Cambodia, Yugoslavia and recently we have provided a place of refuge to families from Syria and Afghanistan. We are grateful for a large group of folks within our congregation that pray, volunteer, and provide financial pledges to make that private sponsorship possible. To privately sponsor a refugee family for a one year commitment in BC takes a lot of funds. The New Hope Refugee Sponsoring group is always engaged in getting more people involved, to either pledge financially for a year or give a donation so that we are able to provide financial aid to a new refugee family for a year. Would you like to learn more about this ministry and how you might support it? Contact the Church Office at www.nwcrc.ca/contact/general-inquiries. Would you like to partner with us financially? Visit our NWCRC Online Donation and choose “New Hope NWCRC – Refugee Sponsorship” from the Donation Breakdown list.